Sounds like a great day, but the photo isn't there. I seem to be having that problem at the moment! I like the Berry Man. 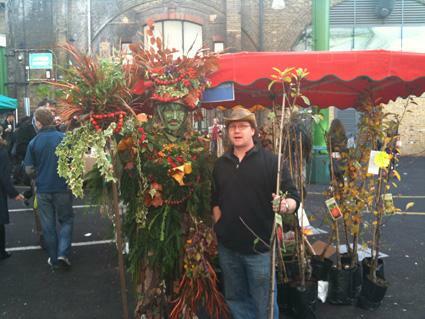 I have a small collection of three Green Man images but have never seen the Berry Man before. It wasn't something I had heard of before. You wouldn't believe the amount of people taking pictures with the guy standing next to our apple trees! That's a great costume for camoflauge!